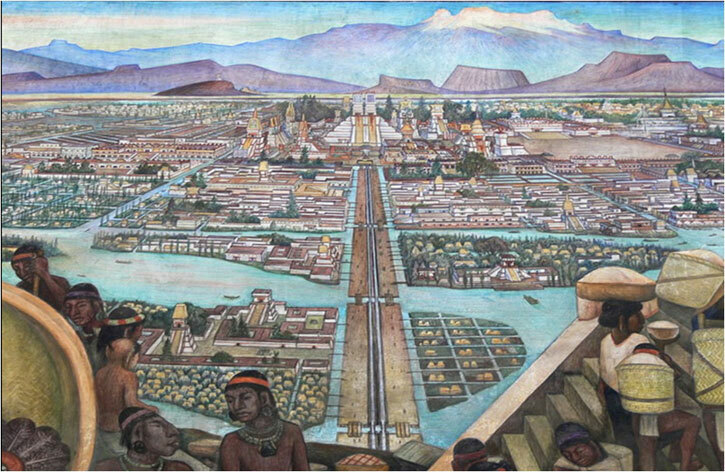 My aim here is to tackle the question, how did the ancient Mexicans perceive the city of Mexico-Tenochtitlan? 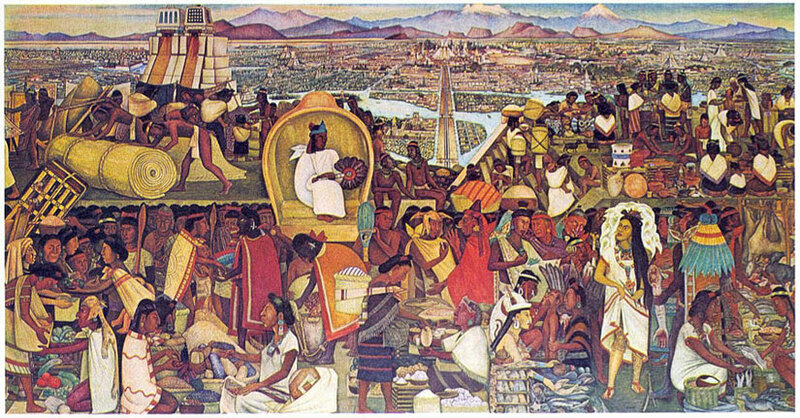 With this in mind, I will analyse some of the Aztec songs compiled in the manuscript Cantares Mexicanos, especially those in which it is possible to appreciate the vision held by the Aztec people about their own city. Many of these compositions are anonymous, since not all can be attributed to a particular individual. The value of this study lies in conceiving of a collective vision that could have been shared by the inhabitants of the city. 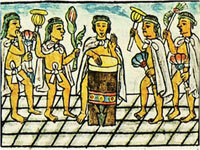 I particularly want to consider the songs and poems, because whilst currently a few studies do take into account the vision of the city conceived by the Aztec people before the Spanish invasion, to achieve this successfully we have to turn our attention to some of the poetic reveries generated in the minds and hearts of the old composers. This allows us to capture the power of the poetic images in their full spontaneity. A fleeting glimpse of their landscape then suddenly emerges in front of our eyes. For it is not only the inhabitants’ image of the city that changes over time, it is the physical appearance of the city itself. a flower mist spreads over all (Bierhorst 1985:205). I want to focus on the accumulation of images in this song, because we glimpse here some inherent cultural traits. 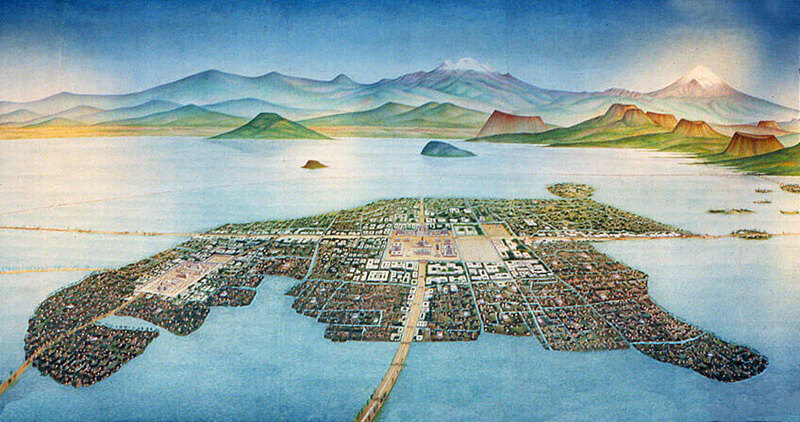 For example, the first image shows the city lying as a jade crown circling and radiating rays of light; the brightness of the city is compared to a gem and the intention is to highlight its beauty by a comparison with rays of light and quetzal feathers. By highlighting the chromatic similarity between precious stones, quetzal feathers and the water surrounding the city we reveal the writer’s vision more profoundly. The colour green was considered a symbol of abundance and fertility and was directly related with the gods of water and rain. where the shields are painted. in the place of forebears. are cacao flowers (Bierhorst 1985:189). In this song I want to emphasize, first, the references to darts and shields, because both are war-related elements. 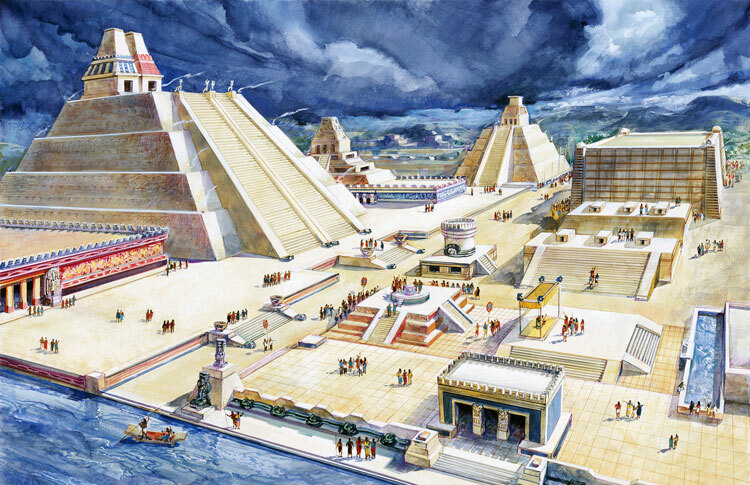 The intention is clearly to emphasize the military prestige of Mexico-Tenochtitlan. Secondly I want to highlight the reference to different types of flowers. 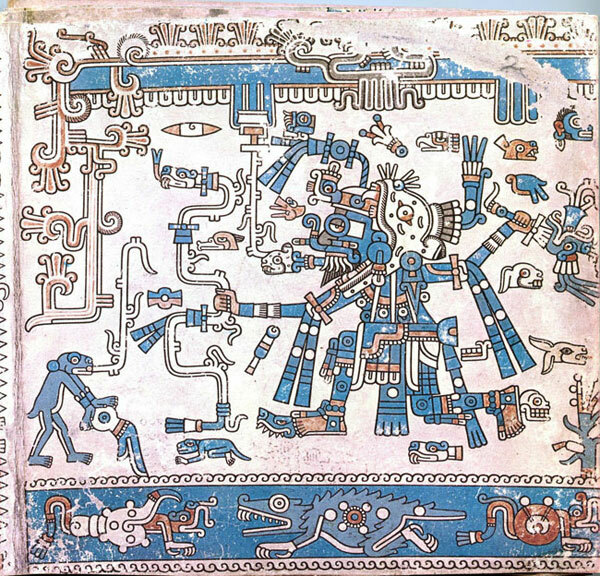 Some can be identified with the help of botany as the flowers of the cacao and Bleeding Heart plants, but we are told that in Tenochtitlan also grew Life Giver’s flowers, which have a metaphorical character. 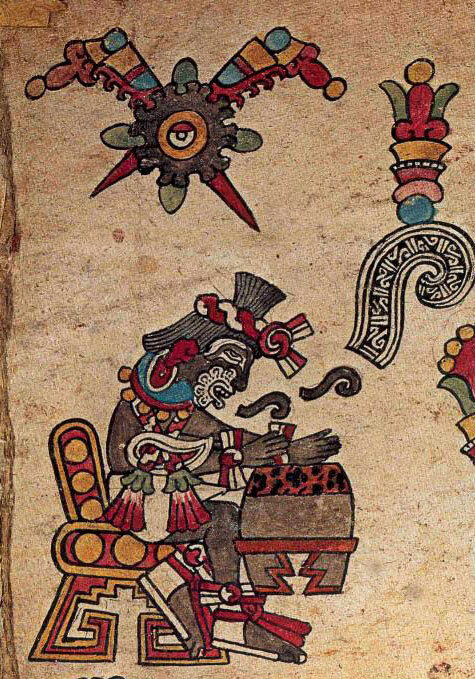 In relation to the second verse I want to draw attention to the house where the books or “turquoise paintings” (xiuhtlacuilloli) were kept. These books are generally known as codices and were prized both for their content and for their strong artistic character. In them we can find information relating to calendars, the genealogy of rulers, tax and tribute lists, etc. 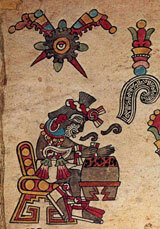 In short these books stored within them the accumulated knowledge and skills of Mesoamerican peoples. At first glance, the conjunction between war-related symbols such as darts and shields, and references to books of paintings and the enclosures in which they were kept appear to have nothing in common. However, close analysis of the text indicates the presence of institutions and specific locations where various activities related to the management of the city took place. Let our cares be put aside, our sadness likewise. 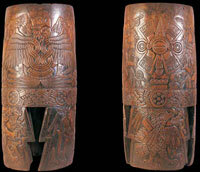 whistle calls are shrilling here in Mexico-Tenochtitlan. the blaze inflames these flowers of Chimalpopocatzin. will never die (Bierhorst 1985:199). In this song we sense the city in its apogee and splendour. First I want to point out the role assigned to song, with its alleged power to dispel sorrow and sadness. This is an idea found in many of the songs in Cantares mexicanos as well as in compositions of the Romances de los Señores de la Nueva España, so it is not a fortuitous cultural trait, but a permanent idea. As in the previous song there are palpable references to war, in this case the writer speaks of a “swirl” of shields, whistles and rumbles, a clear evocation of movement and energy. The ‘house of shields’ can refer to the storehouse where weapons and instruments of war were kept. 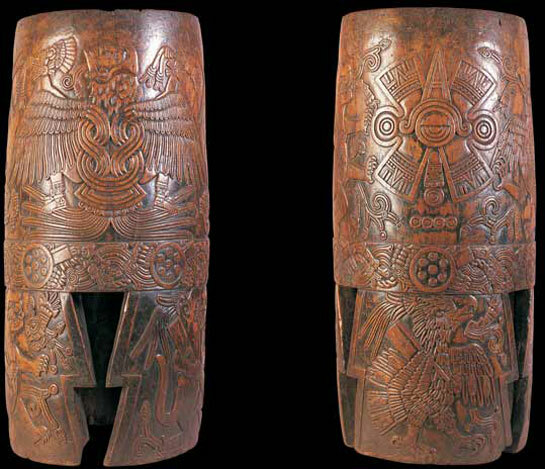 Another outstanding feature in the song is the presence of a difrasismo or parallelism that mentions the mat belonging to eagle and jaguar warriors. 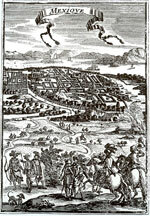 Both animals were associated with the main military orders that existed in the city. 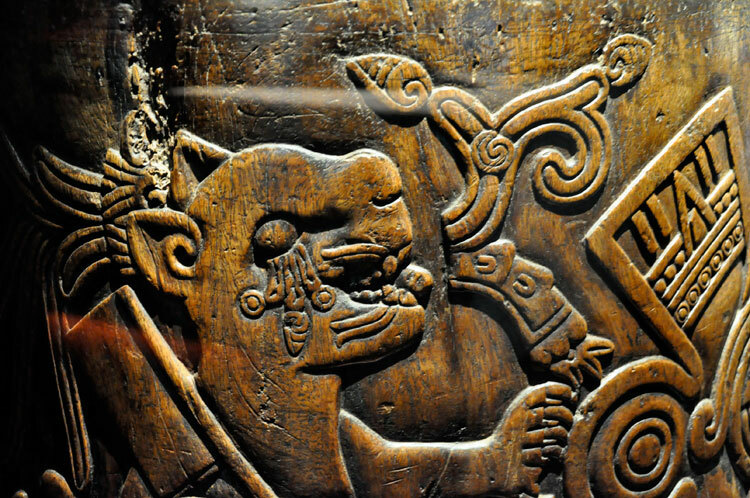 For its part, the mat (petlatl) was regarded as a symbol of authority and power. It is very likely that the song refers to a place of war-related activities such as a military barracks, where a symbolic bonfire would be lit. 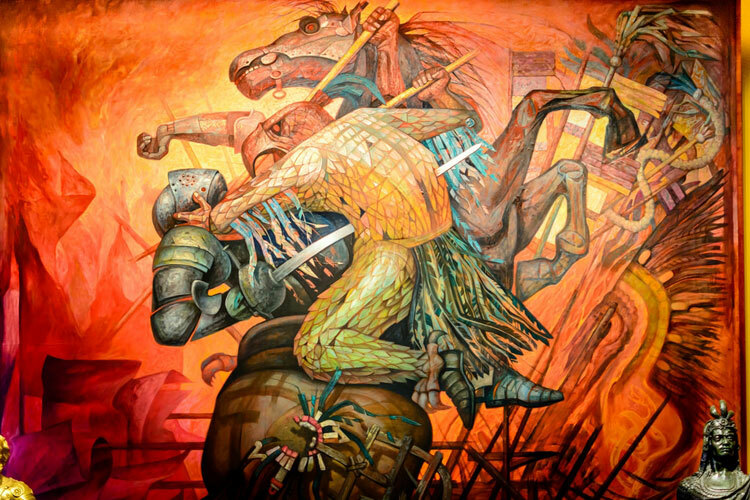 It is worth recalling here that the parallelism atl-tlachinolli should not be taken literally to mean “water-fire” but it is the combination of these two opposing elements that forms the basis for creating a third symbolic meaning, in this case “war”. 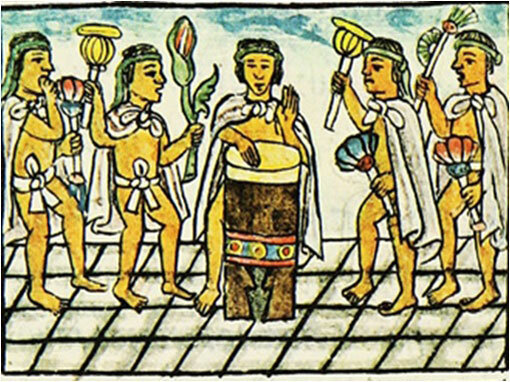 Equally non-accidental is the mention of Chimalpopocatzin, one of the ancient rulers, as it would be an indication of the age of the song and the writer’s intention of saving the memory of the ruler. 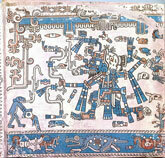 The text is valuable because it allows us to see some cultural traits present since precolonial times. The last lines of the stanza make explicit the confidence and optimism that ancient Mexicans had about staying in the city. flowers - your songs - are born. your flowers: they’re shining (Bierhorst 1985:203). This song presents us with some cultural features that hold a deeper meaning within the Aztec worldview, such as feathers, flowers, jade. All of them are related to the art of singing. Moreover, there is an analogy – suggested by the English translator - between flowers and songs. This text also evokes various images of a landscape dominated by trees and flowers spreading their fragrance throughout the world. I further want to highlight the fact that songs were believed to be as valuable as precious stones. The images in this song evoke the splendor of the city, but not based on buildings or the prestige of war: instead we perceive a radiant atmosphere linked to nature, light, songs and colour. 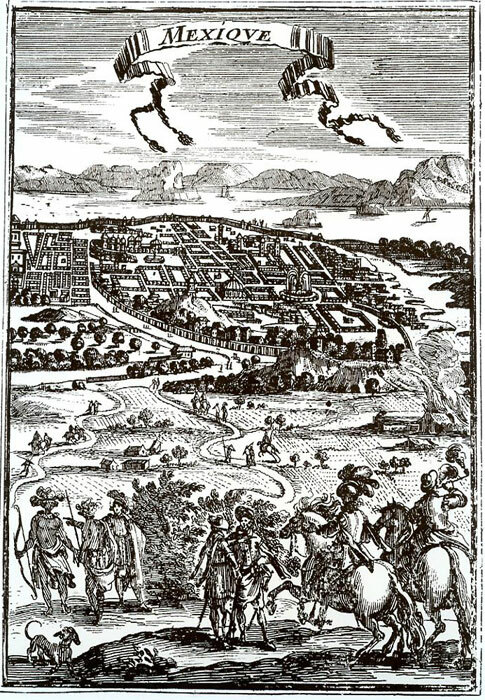 In their testimony the first Europeans who had arrived in the Valley of Mexico tried to describe something totally unprecedented in their lives and experience, presented to them suddenly like a dream in front of their eyes: ‘Some of our soldiers even asked whether the things that we saw were not a dream’ - a dream engendered by glimpsing the unknown. To describe such a vision words literally fail: ‘It is not to be wondered at that I here write it down in this manner, for there is so much to think over that I do not know how to describe it, seeing things as we did that had never been heard or seen before, not even dreamed about’. In this passage we can see how the author expresses his difficulty putting into words what his eyes beheld at the time; we witness a new vision and dream merging into an expression of shock and disbelief bordering on the limits of language. we have torn our hair in our grief. and the walls are splattered with gore. it has the taste of brine. for our inheritance, our city, is lost and dead. but they could not save it. The text takes us to a bleak landscape that warns us against any kind of idealisation: it is the face of war manifested in all its nakedness, of desolation trapped in the bloodied walls, peppered with brains. 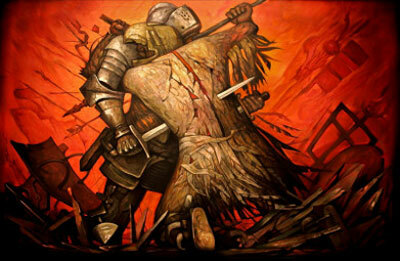 It is a vision of helplessness and uncertainty, of irreparable loss of inheritance. We are facing here an ephemeral and fragile existence set against a primordial loneliness that cannot be saved or sustained - as in times gone by - with shields. Editor’s Note: The quote by Bernal Díaz del Castillo is from ‘The History of the Conquest of New Spain’, edited with an introduction by Davíd Carrasco, University of New Mexico Press, 2008. The poem by the anonymous writer from Tlatelolco is from ‘The Broken Spears’, edited with an introduction by Miguel León-Portilla, Beacon Press, 1992. • Tomlinson, Gary (2007). The Singing of the New World: Indigenous Voices in the Era of European Contact. New York, Cambridge University Press. • Pic 11: image scanned from our own copy of Imagen de México: Mapas, Grabados y Litografías by Electra L. Mompradé and Tonatiuh Gutiérrez, SALVAT, Mexico City, 1976.